Imogen's Typewriter. 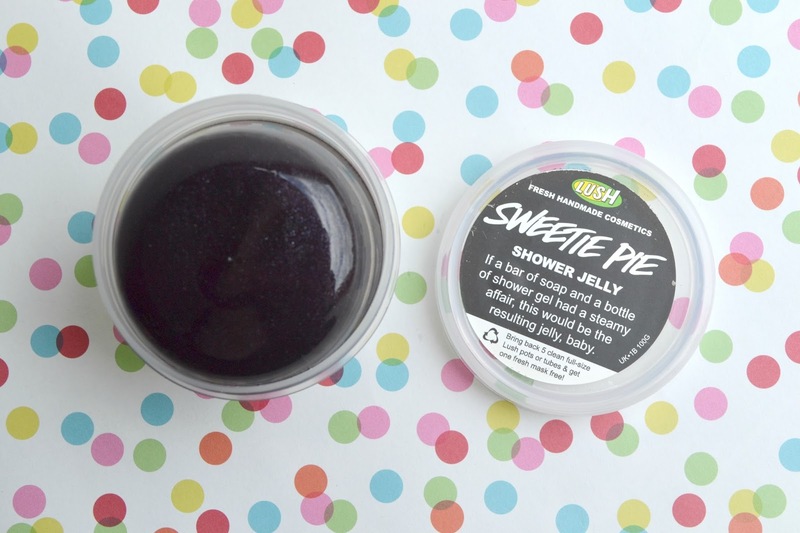 : Beauty Review: Lush's Sweetest Thing Gift! It was a sad day when I realised I haven't been buying a lot of Lush lately. My local store shut down and I have a dislike for the £3.95 delivery fee on their website. But my mum works near one of the stores and she kindly bought me the Sweetest Thing gift on a whim one day (thank you mum!). And I've been hearing some rumours about the Christmas line, consider me interested in Lush again. The gift comes with three products; Fun in Pink, Sweetie Pie shower jelly (no longer available except in this and the Sugar Sugar gift) and Bubblegum lip scrub. Fun has been out for a while but I've never picked up a... Bar? Wedge? It's never really been cute enough for me to reach for it. But I'm glad I got to try it! It has the same scent as the Creamy Candy bubble bar and Snowfairy, so basically it smells like candy. It claims to have four uses; solid shampoo, bubble bar, soap and well- Fun. As for actual uses? 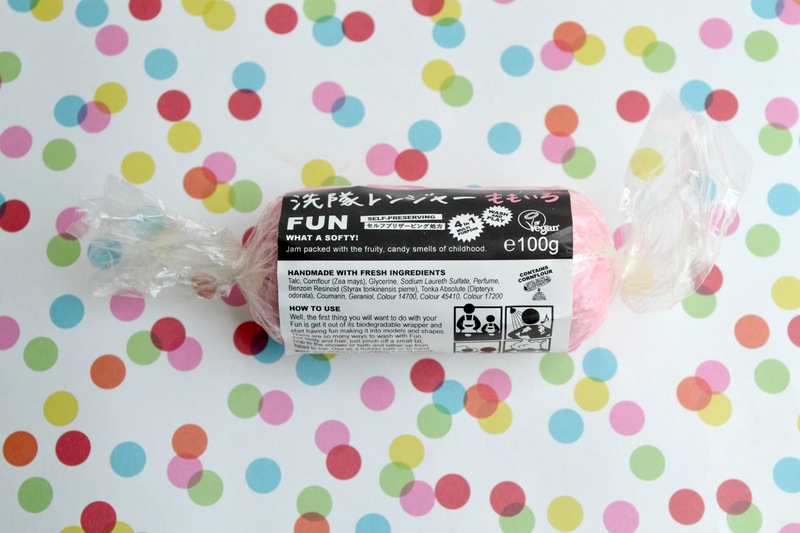 As fun it's neat, and for soap it works great but as a bubble bar it leaves lumps at the bottom of your bath and as shampoo, lumps in your hair. So it really depends what you want it for. It's £5 for 100g and it can be bought on it's own here! 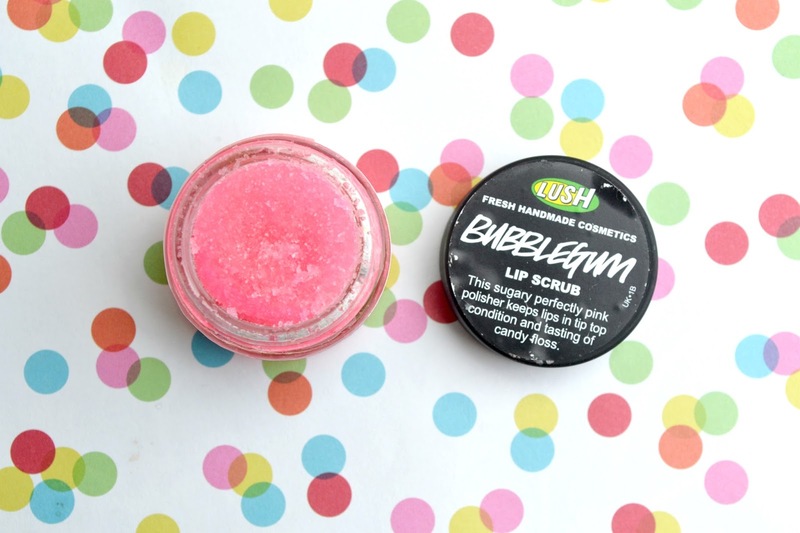 Bubblegum lip scrub is a pretty well known in the beauty blogosphere. It's a lip scrub that does the job and tastes like candy, what's not to like? Of course, it's probably very easy to replicate but that's a whole different cost vs. worth, time is money thing. It's £5.50 for 25g and you can buy it on it's own here! Sweetie Pie is no longer available on it's own. Which is devastating because this is one of my favourite Lush products. It smells like the Comforter, and is basically jelly soap- so much more fun then shower gel or bar soap. I'm glad that I have a tub to savour. It'll be a dark day when I finally finish this. Lush do some pretty great gifts in my opinion. Full of good stuff? Check. Pre-wrapped? Check. Decent price? Check. And in this case- the lip pops off easily if you want to add extras. Personally, I like to add something that shows some extra thought, a nail polish or a lipstick. The Sweetest Thing gift costs £14.50 and can be bought here! What do you think of this gift? Would you buy it for someone?